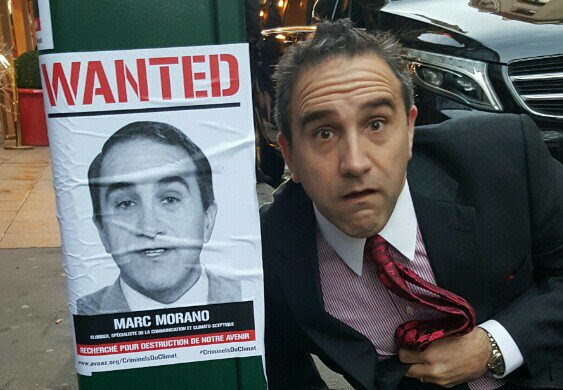 Let me start by discussing my take on Marc Morano, and why I agreed to be interviewed for his movie. I first heard of Marc Morano circa 2006, from Joe Romm. Romm’s take on Morano was basically that of the climate ‘anti-Christ.’ I then put ClimateDepot on my list of blogs to monitor, to check up on what the ‘evil’ side in the climate debate was up to. I slowly built up an understanding of what Morano was doing, and I didn’t regard all of it as negative. At some point (probably around the time of Climategate) I found myself on the same email list as Marc Morano, and we exchanged a few emails on issues of common interest. Circa 2010 (if my memory serves) I referred to Marc Morano as a ‘demagogue’ (I can’t find this anywhere on the internet). Marc was offended, we discussed this on email, and I raised my concern about his attacks on individual climate scientists that included publishing their email addresses, etc. We declared sort of a truce on this, and we agreed to point out to each other if we spotted inappropriate behaviors. Subsequently, I’ve met Marc several times, and I have to say I like the guy. He’s smart and he’s funny (he pokes fun at both sides), and as far as I can tell he is honest. When he asked to interview me for the movie, I agreed to do it. The interview itself was really fun. I have no complaints about how I was portrayed in the movie. I saw an earlier version of the film in November, prior to the Paris premiere. I wasn’t quite sure what to expect, but my initial reaction was relief that there were no goofy or incredible statements about the science. I found the movie to be pretty entertaining and even interesting, especially the narratives developed around silly alarmist statements made by scientists and politicians. I thought the selection of featured scientists was quite good. It included some new faces that were quite effective – Caleb Rossiter, Robert Giegengack, Richard Tol, Daniel Botkin were especially good. The budget for this was shoestring, I think it was less than $500K (somewhere I recall seeing a $20M budget for Merchants of Doubt movie, this may not be correct). Financials for Merchants of Doubt movie: $192K at the box office, with an additional $114K from home video sales (JC note: Merchants of Doubt movie was discussed in this previous post). It will be interesting to see how Climate Hustle does at the box office (and in subsequent home video sales). I’m sure people will criticize me for participating in this, but then these are the people that have pretty much already sent me to Coventry, so . . . so what. There is a need for opposition voices and questioning. If anyone feels threatened by this movie it would have to mean you’re conceding that the communication skills of the environmental side are really bad — which actually they are, so maybe there should be some cause for concern. So, I hope some of you will be able to see the movie on May 2, I look forward to your reactions. While we are on the topic of entertaining film clips, check out this youtube videoOld people don’t care about climate change.